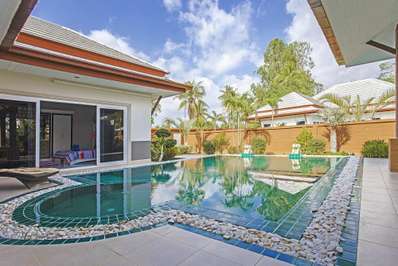 Eats & Retreats features a curated portfolio of Pattaya private luxury villas & vacation rentals to rent for individuals, couples, friends, families & large group holidays. We work directly with property owners to guarantee the best price. We also provide a book-now service with a 72 hour free cancellation period. Located in the city in Bangsaray, Pattaya. 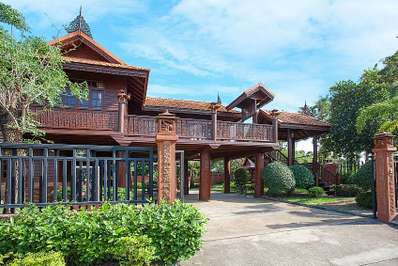 Timberland Villa 202 is a traditional villa in Thailand. Located in the countryside in South Pattaya, Pattaya. Thammachat Vints No.141 is a contemporary villa in Thailand. Located in the city in Jomtien Beach, Pattaya. Baan Kinara is a contemporary villa in Thailand. Located in the countryside in South Pattaya, Pattaya. Thammachat Vints No.140 is a contemporary villa in Thailand. Located near the beach in Jomtien Beach, Pattaya. Fandango Villa is a contemporary villa in Thailand. Located in the countryside in South Pattaya, Pattaya. Thammachat Alese is a contemporary villa in Thailand. 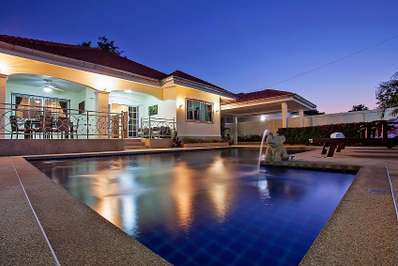 Located in the countryside in Jomtien Beach, Pattaya. Thammachat Tani is a contemporary villa in Thailand. Located near the beach in Jomtien Beach, Pattaya. 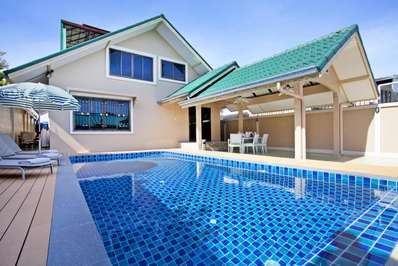 Jomtien Waree 4 is a contemporary villa in Thailand. Located in the countryside in South Pattaya, Pattaya. Thammachat Vints No.130 is a contemporary villa in Thailand. Located in the city in Central Pattaya, Pattaya. Vogue Villa is a contemporary villa in Thailand. Located in the countryside in South Pattaya, Pattaya. Thammachat Victoria Villa is a contemporary villa in Thailand. Located near the beach in Pratumnak Hill, Pattaya. Pratumnak Regal Villa is a contemporary villa in Thailand. Located near the beach in Jomtien Beach, Pattaya. Jomtien Waree 9 is a contemporary villa in Thailand. Located near the beach in Jomtien Beach, Pattaya. Jomtien Lamore Villa is a contemporary villa in Thailand. Located near the beach in Jomtien Beach, Pattaya. 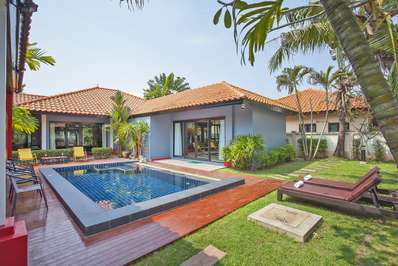 Thammachat P2 Laima is a tropical villa in Thailand. Located near the beach in Jomtien Beach, Pattaya. 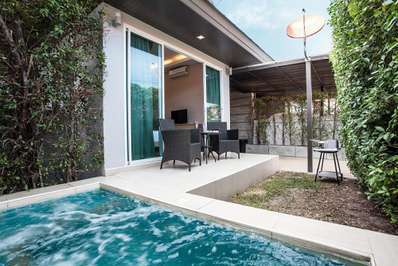 Jomtien Summertime Villa is a contemporary villa in Thailand. Located in the city in North Pattaya, Pattaya. Silver Sky Villa is a contemporary villa in Thailand. Located near the beach in North Pattaya, Pattaya. Villa Kalasea is a contemporary villa in Thailand. Located in the city in Pratumnak Hill, Pattaya. Villa Enigma is a contemporary villa in Thailand. Located near the beach in Central Pattaya, Pattaya. Rustic Gold Villa is a contemporary villa in Thailand.